Upgrading to being an Advanced Consulting Partner is a significant milestone for us. Leveraging AWS’s vast repository of tools, we will be able to deliver innovative solutions and help our clients achieve their business goals. 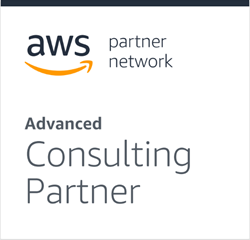 Srijan, a digital solutions and technology engineering company, has recently become an Advanced Consulting Partner in the Amazon Web Services (AWS) Partner Network. Amazon Web Services (AWS) partnerships are achieved on the basis of total business investment on AWS, AWS Services capabilities, and AWS certified professionals within the organization. AWS partners are the most trusted service providers when it comes to designing, building and managing enterprises applications on the AWS platform. Starting off as a Standard Consulting Partner in July 2018, Srijan has upgraded to the advanced tier within two months. Currently, Srijan has 12 AWS certifications and 37 AWS accreditations, and these numbers are growing fast. Srijan builds and modernizes digital systems to help enterprises adapt to changing business models. The company is headquartered in New Delhi, and has offices across USA, UK, Singapore, Philippines, Malaysia, Japan, Germany and Australia. The company delivers wide range of services across Data Science, API Management, Drupal WCM, DevOps, and Machine Learning. Srijan works with global enterprises such as Sealed Air, Flight Center, Crain, OPEN Magazine, Vogue, On Corps, Zoho, TUI, and CondeNast Traveller, among others. Srijan’ team combines keen business sense and technology expertise to power digital transformation for enterprises across industries.